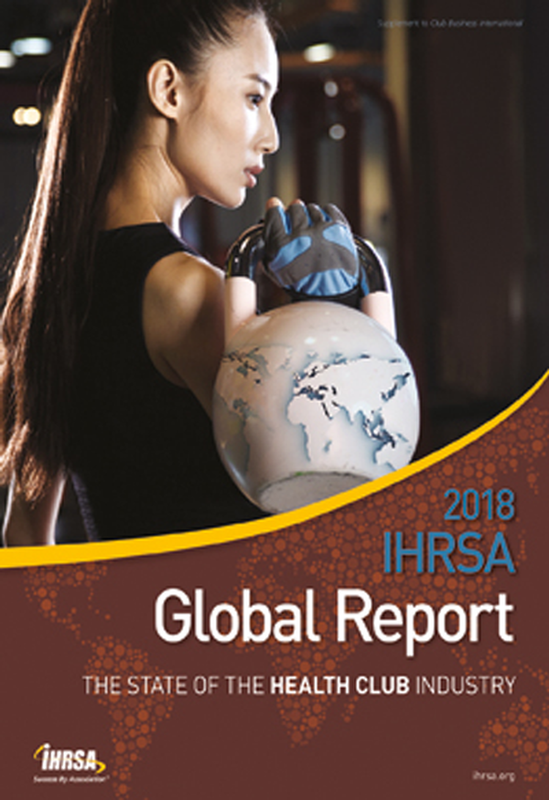 In the June issue of Health Club Management, we introduced The 2018 IHRSA Global Report: The State of the Health Club Industry. 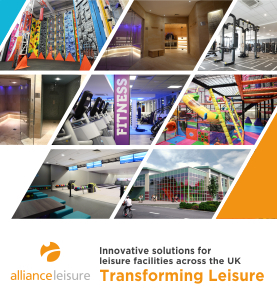 The annual report provides a comprehensive overview of the US$87.2bn global health and fitness industry, which welcomed 174m consumers last year to more than 200,000 facilities around the world. This month, we zoom in and take a closer look at key numbers from the Americas. 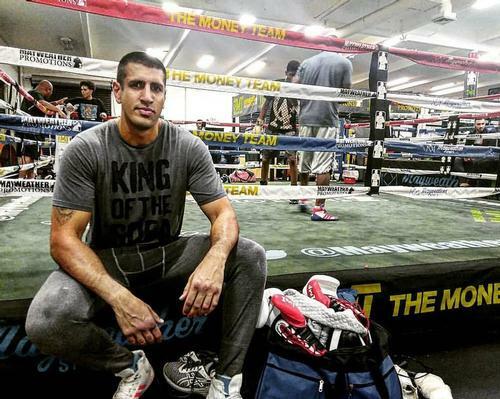 According to the report, revenue, membership, and the total number of clubs all increased from 2016 to 2017 in the United States, where the member penetration rate is currently 20.3 per cent – the highest in the Americas. Revenue grew from $27.6bn to US$30bn, while membership increased from 57.2m to 60.9m, and the US club count rose from 36,540 locations to 38,477 sites. 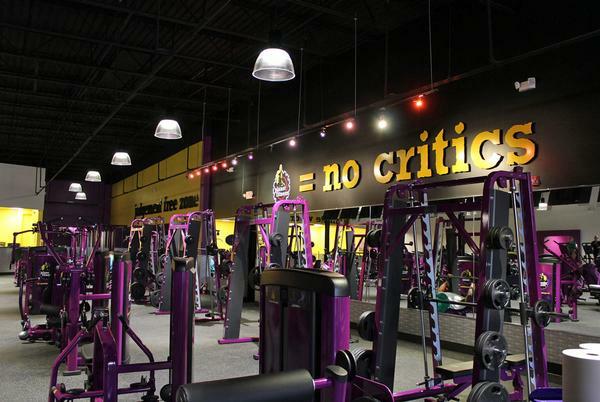 Gym operator Planet Fitness tops this year’s IHRSA Global 25 list, in terms of both the number of members and revenue, at 10.6m and US$2.3bn respectively, while Anytime Fitness leads in the number of franchises with 3,861 around the globe as of the end of the year 2017. The company’s revenues were US$1.45bn last year, as it served its 3.15m members. 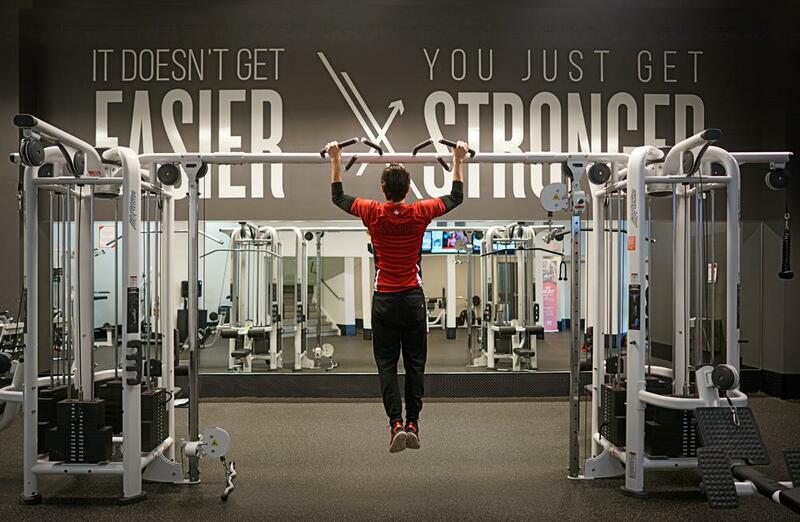 Topping this year’s IHRSA Global 25 list in terms of number of facilities owned is US business Fitness International, which trades as LA Fitness, with 675 clubs. 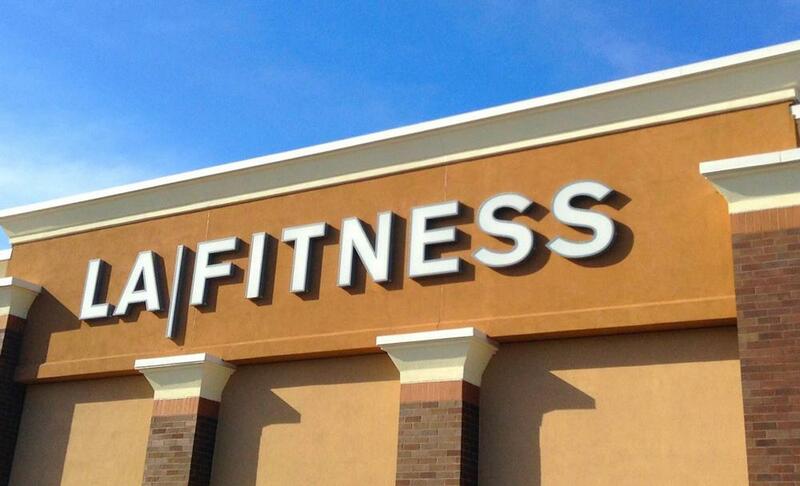 The second spot belongs to the Netherlands’ Basic-Fit, with 521 clubs and coming in third is 24 Hour Fitness, based in California, with 433 units. Some 15.5 per cent of Canadians are health club members, giving the country the second highest penetration rate in the Americas. 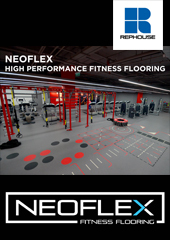 Canada’s 6,000 health clubs serve nearly six million members, generating around US$2.6bn in revenue each year. 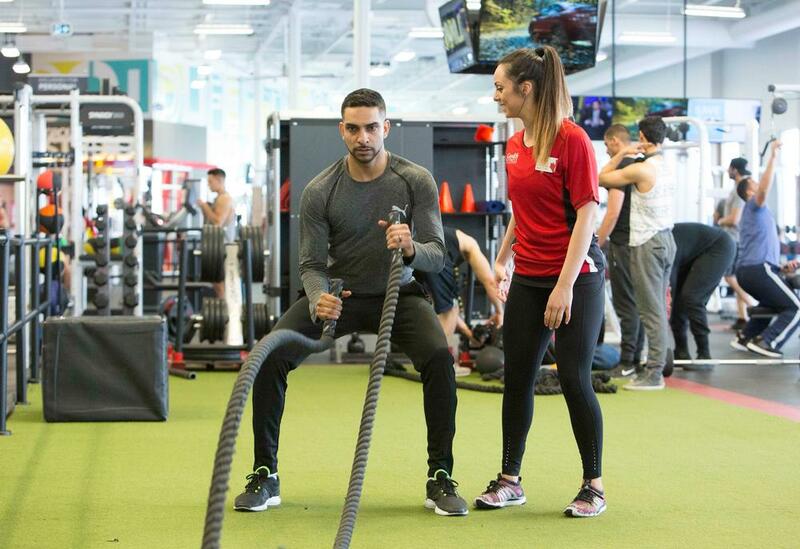 Among companies based in Canada, Goodlife Fitness ranks highest on the IHRSA Global 25 operator list (where it’s ranked at number six), with well over 1,600,000 members. 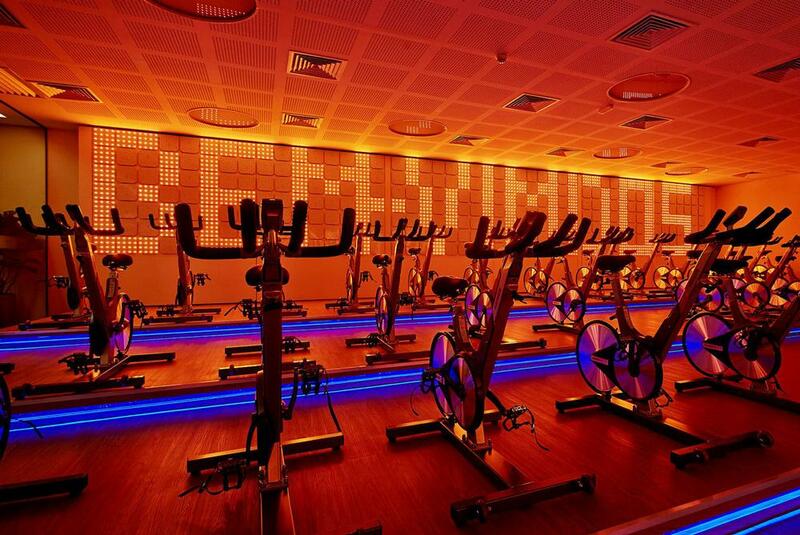 Its 404 locations rank it fourth overall on the IHRSA Global 25 list in terms of the number of facilities owned. 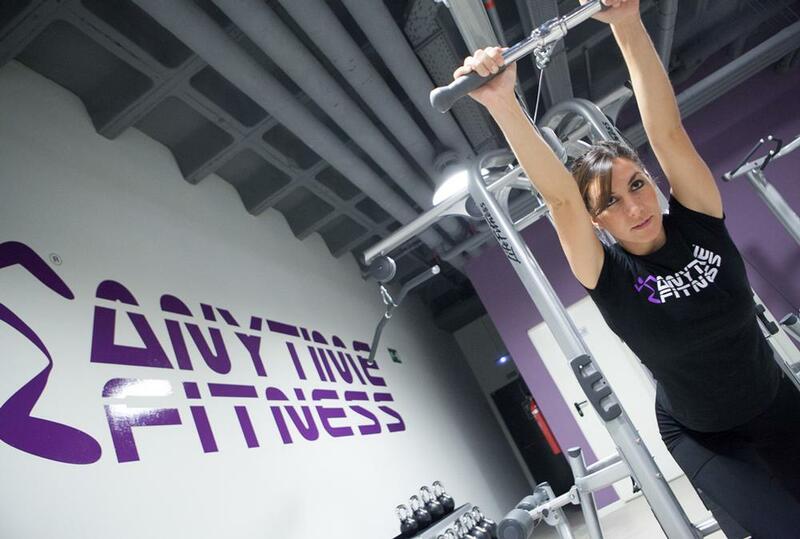 The Latin American health club market is robust, with potential for growth, as member penetration rates remain low at an average of 2.15 per cent across 18 countries. Argentina has the highest penetration rate in terms of membership, at 6.75 per cent, followed by Brazil (4.62 per cent), Mexico (3.23 per cent) and Costa Rica (2.81 per cent). 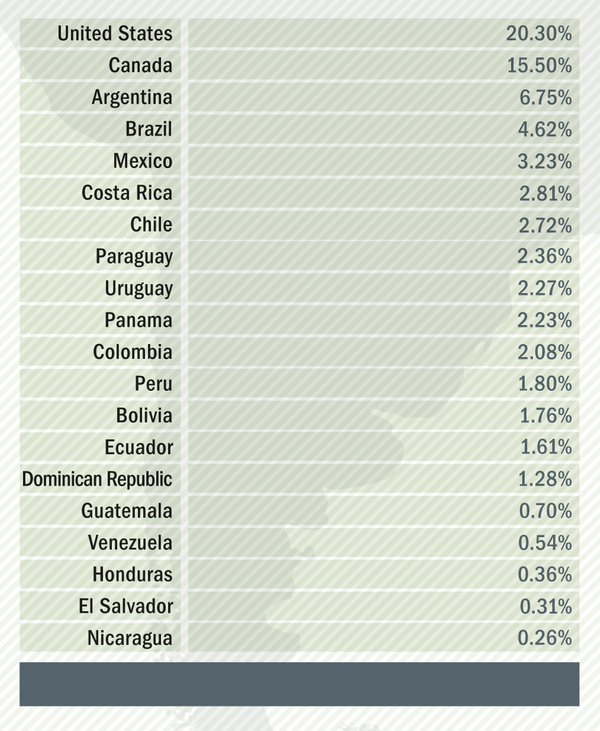 Latin American countries with the lowest membership penetration rates include Nicaragua, where only 0.26 per cent of the population are members of a gym and El Salvador (0.31 per cent), Honduras (0.36 per cent) and Venezuela (0.54 per cent). 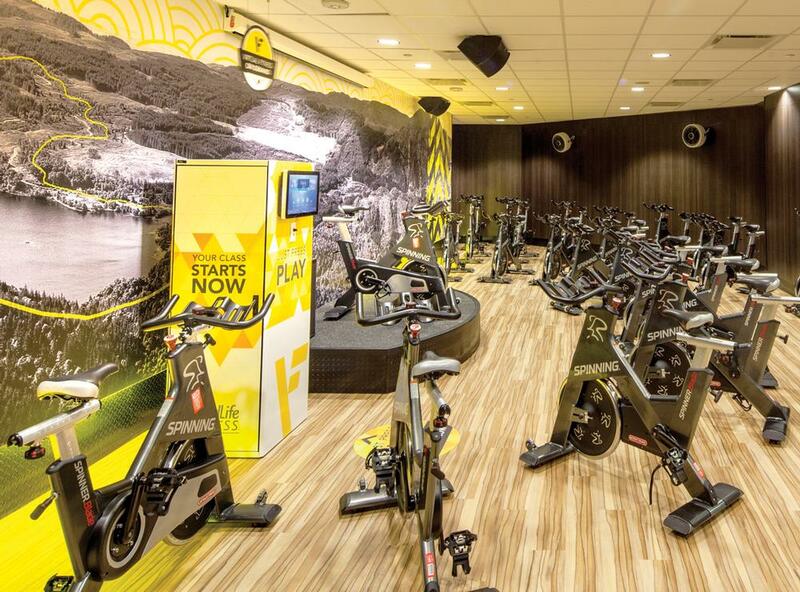 Brazil’s 34,000 health clubs – which serve more than nine million members – rank the country second only to the US among global fitness markets in terms of number of facilities, and fourth in terms of the number of members. 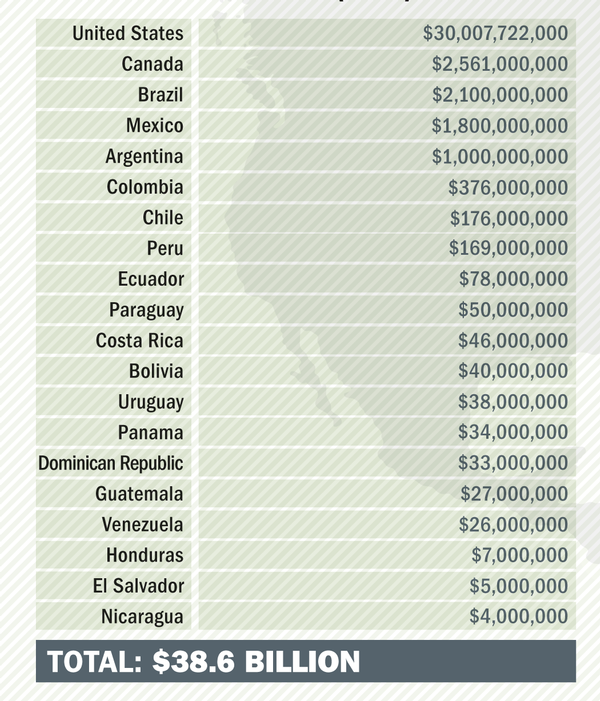 Annual industry revenue in Brazil now tops US$2.1bn, ranking it third globally behind the US and Canada. 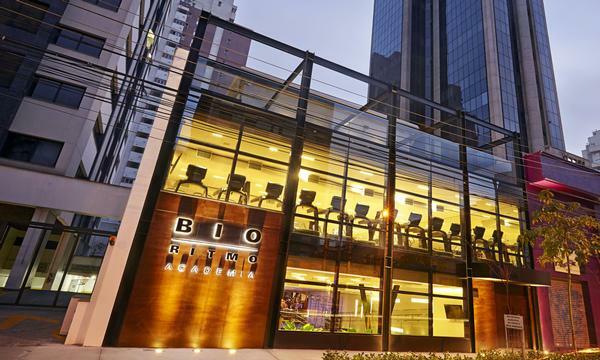 Bio Ritmo Group, which is based in São Paulo, Brazil, generated US$325m in revenue last year from 482 health clubs and ranks eighth on the IHRSA Global 25 list in terms of number of members, with 1,508,000 at the end of 2017. 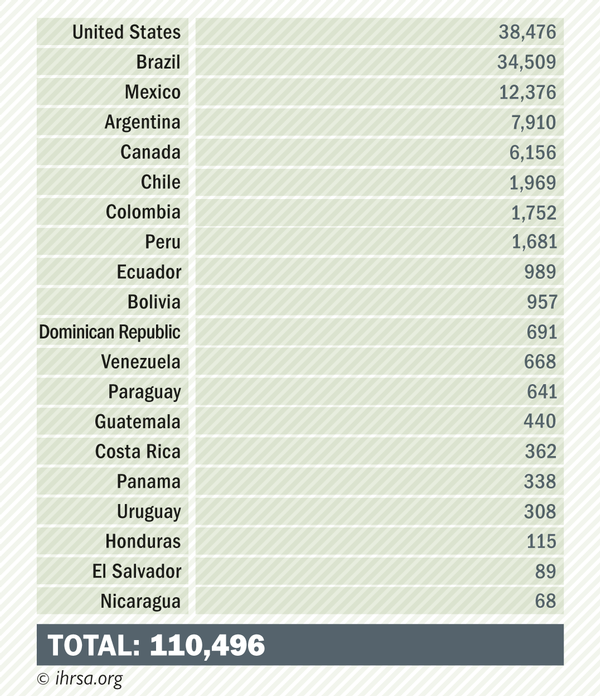 With more than 12,300 clubs, Mexico ranks second in Latin America and third worldwide in terms of number of clubs. Its US$1.8bn in industry revenue lands it in fourth place among countries in the Americas, as does its membership at 4.1m. Mexico’s Organizacion Britania, headquartered in Mexico City, ranks 25th on the IHRSA Global 25 list in terms of number of members among global leaders with 446,000. 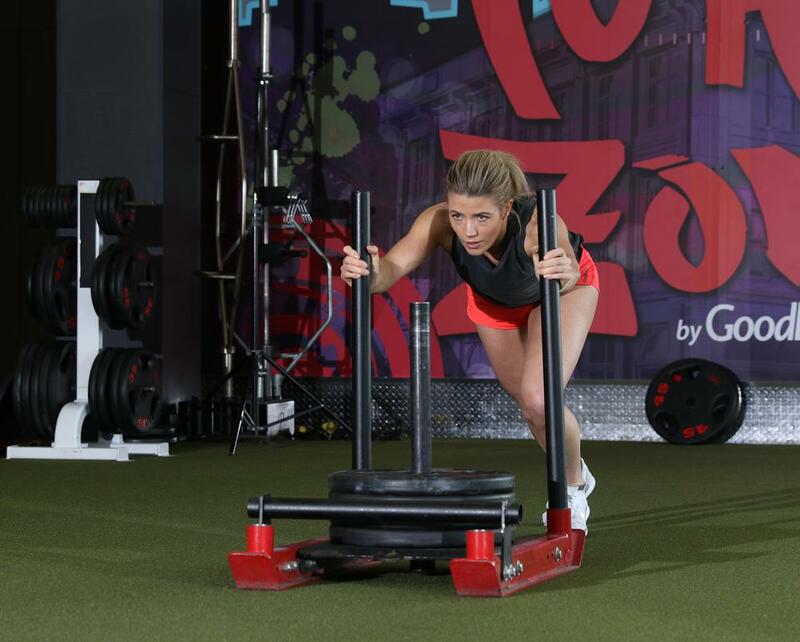 Columbia’s Bodytech SA, based in Bogotá, is the other Latin American company on the IHRSA Global 25 list, landing at number 18 when it comes to the number of facilities owned at the end of 2017, with 132. An additional 34 are franchised, making a total of 166 units. Some 979,000 Columbians are health club members at 1,752 facilities, generating a total of US$376m in annual industry revenue. www.ihrsa.org/research-reports to access the full report.